FortiVitum Oral Spray absorbs 9 Times more than your typical tablets. 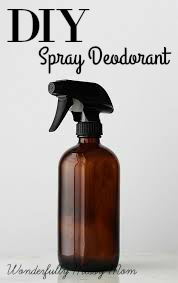 You only need 2-4 sprays a day depending on your personal needs. It is easy to carry so you can get your vitamins any time of day. FortiVitum is made in the USA from Only Natural Ingredients, GMO-Free, No Polysorbate 80. No Artificial Flavors and Colors. It is sweetened with Stevia to give it a nice subtle sweetness. If you have followed my blog long enough, you have heard me say that I suffer from acne. Not just a mild break out here and there, but a full blown pizza face...and neck, back and chest!! It's embarrasing that I still suffer in my thirties! I have tried many things to help clear my face up and have actually found a few things that helped. I would not say "cured" my acne because in all reality that happens from the inside. Although I have tamed the beast, I still get flare ups around that special week once a month. I limit my sugar, dairy and white refined bread products. I also have a strict facial routine. Which I will share in a later post. I was given the opportunity to review Keeva and wanted to share my experience. 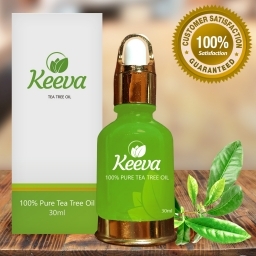 Keeva is a 100% All Natural Oil That is Proven to Work Quickly and Safely with Any Skin Type! The Top Tea Tree Oil Acne Treatment Oil Available on the Market Today! The root cause of acne is blockage of the sebaceous glands. Tea Tree Oil, also known as melaleuca oil, naturally disinfects pores and dries out whiteheads, blackheads, pimples and other blemishes that people have on their face or back. Tea Tree Oil is a secret, ancient herb that was discovered in ancient China over 2,000 years ago! It's only been since recently that people have "re-discovered" its powerful effects on killing bacteria while leaving your face feel like a newborn baby. 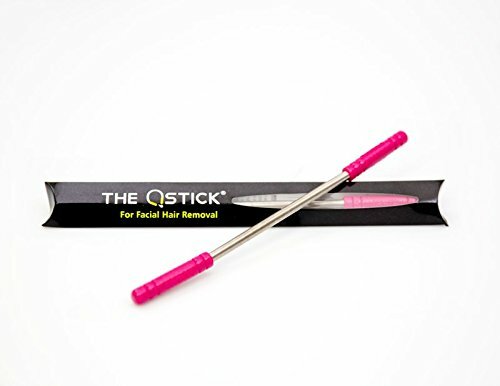 Prevents Future acne problems, leaving your skin cleaner, sexier, and blemish free. Tea Tree Oil for acne is also proven to help with acne scars and cystic acne problems. Keeva was created with sensitive skin in mind. Keeva will not make you break out. It feels cold on your face when you put it on with a gel-like feeling. No animal testing. All-natural ingredients. Safe with no side effects. I did notice that it toned the redness in my skin down a few notches. Around my t-zone it is always red, like a crazy air mask was glued to my face and quickly removed...ouch. It had a nice cooling effect after being applied, like kinda minty feeling. There was NO burning or irritation which impressed me. I will keep this in my cabinet and use this from time to time. 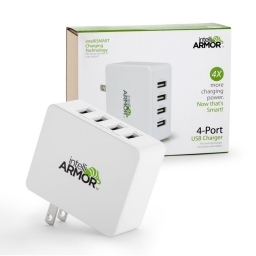 IntelliSMART 5A 4-Port USB Wall/Travel Charger is an awesome universal charger for all your electronics. In my home we have two tablets, two cell phones and two laptops!! There is always something that needs to be charged. My home is a modular home and I hate to admit it, but half the electrical outlets do not work like they should. So we only have a few select outlets that we can use. This handy gadget comes in handy, hahaha. You can charge up to four electronics at one time, it can be moved from place to place and is great for taking along with you while traveling!! The plug folds down to make a complete square so nothing in your suitcase gets snagged or the prongs broken. Its a really great product. Such a classy design, easy to use and great to give as a gift. 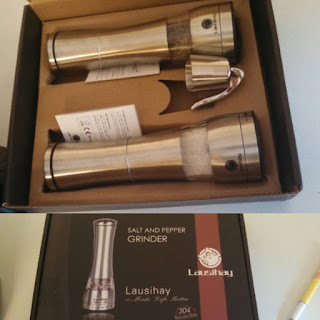 Lausihay Stainless Steel Grinder sets grinding mechanism is made of a premium noncorrosive and rust free ceramic, to keep it working for years to come. It is also made with high quality stainless steel (304) vs the normal (201) grade. It came with a bonus wine stopper. It was such a nice piece that I gifted it to a friend who recently purchased her first home. When she opened it she said, "This is for a fancy house!" I just love making people smile. 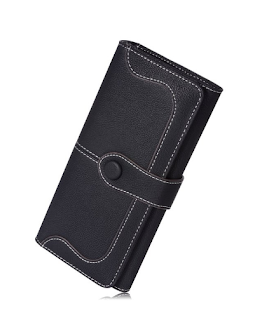 I really like this wallet, it's classy. Fineway's wallet is made with synthetic leather so it is not real, but its still a nice wallet. 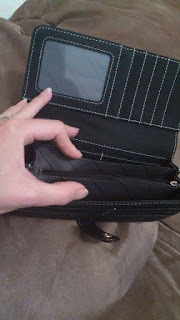 It has lots of storage for credit cards. Three places to be exact. The front opening has a place also. I do not know who carries that many credit cards, but I sure don't! The only thing that I would have liked to see would be pen holder. There is not one anywhere to be found. I also still carry a check book, and there way not place to have this either unless you just keep it in book form. It's inevitable with three kids that someone is going to scrape their knees and elbows on the concrete!! When I go to play doctor mom, I want to use something safe AND effective. So I made my very own homemade neosporin spray. First, let's explore what is in the go-to product. Drug store neosporin is made with petroleum jelly along with three antibiotics. Why is this so bad? The petroleum jelly for one. What exactly is petroleum jelly? Well it is Petroleum , the crude oil waste from oil rigs that is distilled and sold to the public for uses in cosmetics and healing creams. That is just disgusting to me!! We are putting fossil fuels on our bodies every time we get a cut or scrape! What about in diaper creams? Don't even get me started!! What about the antibiotic neomycine? Here is an article written by a medicine doctor on why he does not like neosporin. That should be enough right there to make you go throw that tube in the trash!! Ok, so now you have no boo-boo cream, what do you do?? Well you can just wash it in warm soapy water and let nature take its course, or you can apply a little of my homemade neosporin spray. All these ingredients are antibacterial, antiseptic and have amazing healing properties to them. Shake gently before using and spray lightly onto the effected area. Let it dry. You may or may not choose to apply a band-aide now, that is up to you. This works just as well as any over the counter stuff, but is way better for you!! I tried this only a few times because I found it to be a little to heavy for my skin. It has a nice creamy consistency and no fragrance which was a plus. I am in love with the design and the push pump that distributes just the right amount of cream. New York Biology uses 2.5% retinol which is pretty high considering most only use 1% that is recommended by the FDA. Below is the product description. 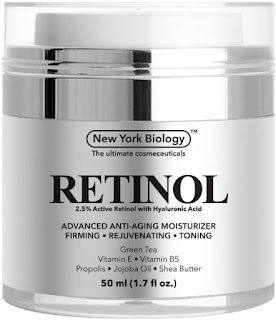 New York Biology Retinol Moisturizer is the best anti wrinkle cream on the market. If you are looking for a great Retinol Cream to help with signs of aging , look no further. 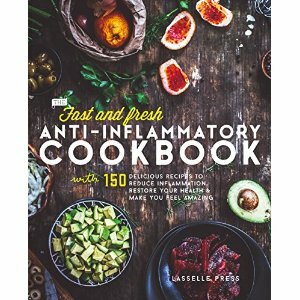 - All Natural Antioxidants like green tea and wheat germ oil that help to prevent damage due to chemical and environmental exposure. - Fight wrinkles, dark spots due to sun damage, and acne scars while increasing your skin's firmness all with a single application of this moisturizer. - Acts as an antioxidant, scavenging the free radicals responsible for wrinkles and other signs of aging. - Retinol increases collagen production and may be involved in building elastin, both of which help to make your skin firm and smooth. Apply a small amount to your face twice daily, and before you know it, your skin will begin to appear firmer ant tighter, leaving you looking years younger. 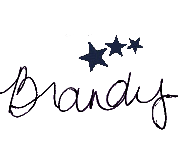 Only the best ingredients available are used in the moisturizer, and it is made with pride in the United States of America. Retinol is in short, Vitamin A. It's an effective ingredient that has the ability to communicate with any skin cell telling it to act like a younger, healthy skin cell. It is also an antioxidant that can stop the free-radical process that damages skin and causes wrinkling and other signs of aging. Retinol has been shown to increase collagen production, help fade discolorations from sun damage, along with other skin care benefits. 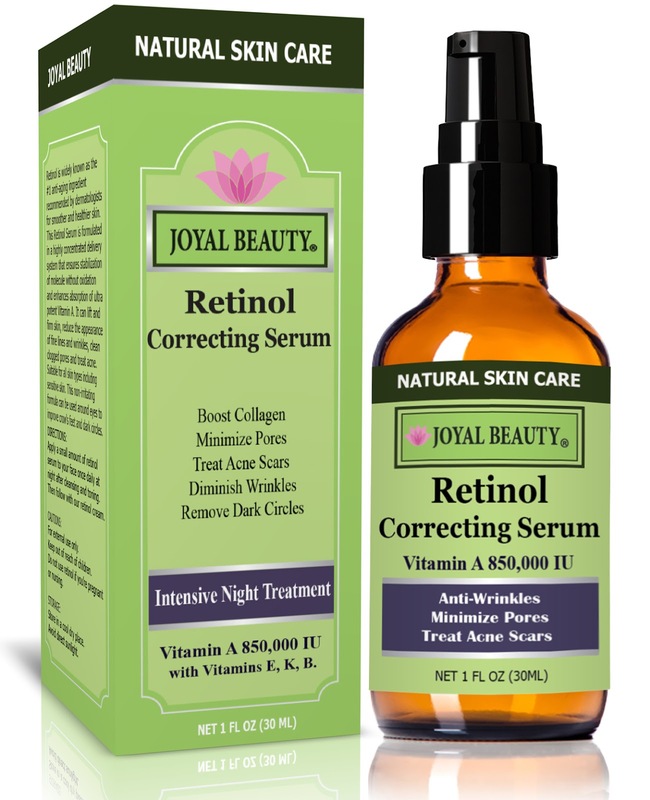 Joyal Beauty Retinol Correcting Serum is 72% organic and used to treat acne scars, tighten skin and boost collagen. I tried this serum and enjoyed that it soaked into my skin fairly quickly and did not cause much irritation. I did experience only a slight itchy feeling for a brief time that went away quickly. My skin was not left feeling sticky or weighed down at all. I did not notice much improvement in my skin tone in the short amount of time I have used it, but it sounds very promising. I have tried many all natural shampoos that I was realy disappointed with. For one, many of them did not produce a lather. Now, I know, you do not need a lather to clean your hair. But when you like a lather, expect a lather and do not get it, it leaves you wanting. 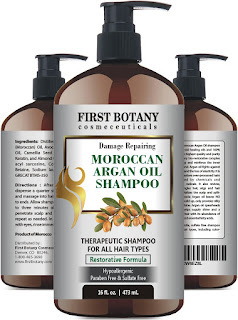 I really like First Botany's Argan Oil Shampoo because it has many oils present that are great for treating damaged hair like Jojoba oil, coconut oil and many more. Argan oil is rich in omega 3 and 9 fatty acids that will help heal split ends which is a must for someone with long uncut hair!! 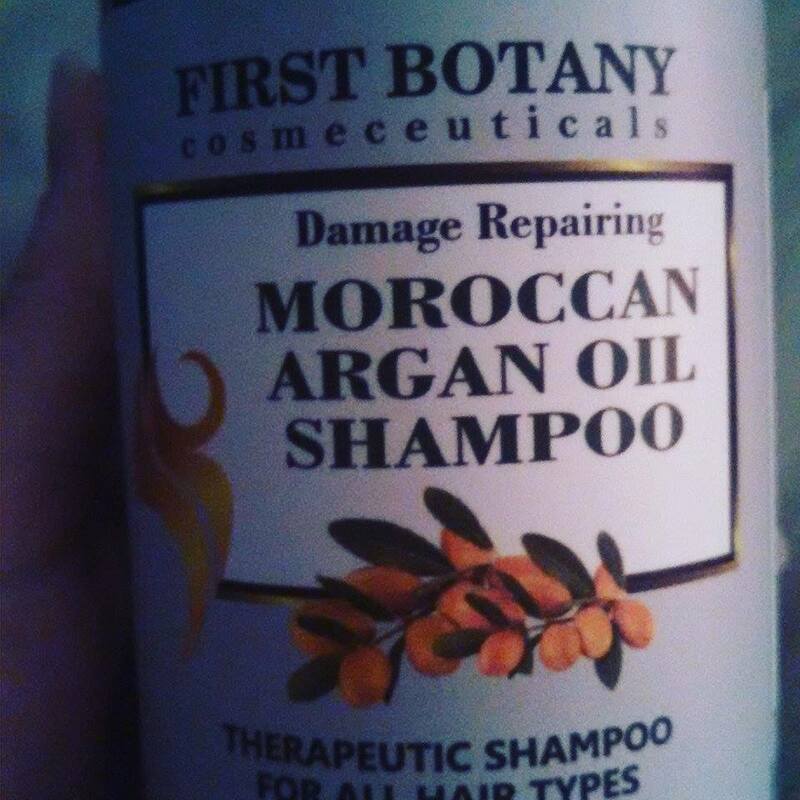 This is not a regular shampoo but a therapeutic shampoo. Argan oil spearheads our formula and helps supply shine and a healthy look to the hair with its abundance of Vitamin E, carotene & essential fatty acids. Our Argan Shampoo helps to remove follicle-clogging sebum, fatty acids and environmental residues from the scalp skin and hair. Hypoallergenic, contains 100% pure Argan Oil of the Highest Quality and Purity. Gentle, Sulfate Free Shampoo great for all hair types, including color treated hair. The Argan oil-infused formula absorbs instantly to fill gaps in hair made by heat, styling and environmental damage. 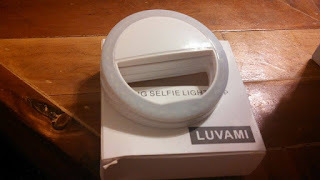 Overall, I really liked this product. 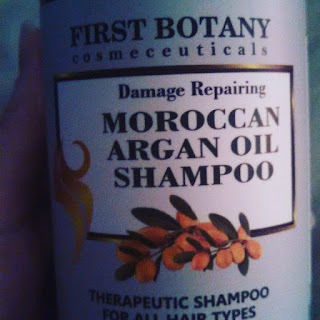 It smells great and helped to make my hair really soft and shiny. Did you know that women have testosterone in their bodies? Well, we do. Its only 5-10% of what men have running through their veins, but we still have it. Testosterone levels that are slightly elevated are normal but can cause a little extra hair growth. Especially in areas we would rather not have it, like our face. I do not have a ton of extra facial hair, but have noticed within the last year my peach fuzz on my upper lip has gotten more noticeable. I have also noticed I am getting what I call "granny hairs" under my chin. These hairs are LONG, WIRY and ANNOYING. I usually use the tweezers to pluck them out when I see them, but after using the QStick, I may never use tweezers again. It is really simple to use. You take the stick and make an upside down U shape. As you roll it to remove the hair, you will twist the handles bringing your thumbs together. There is only a slight pulling sensation and its not too bad. Granted, I only used it on my chin area. I Imagine the pulling sensation might be much like tweezers. Overall, it seems to be a great product! !